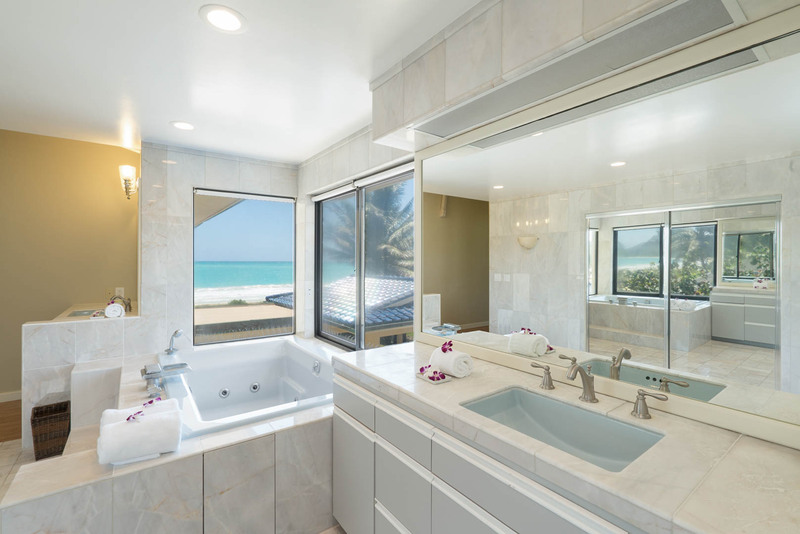 Along the white sandy beach of Kailua, Ocean House offers the best of the location. 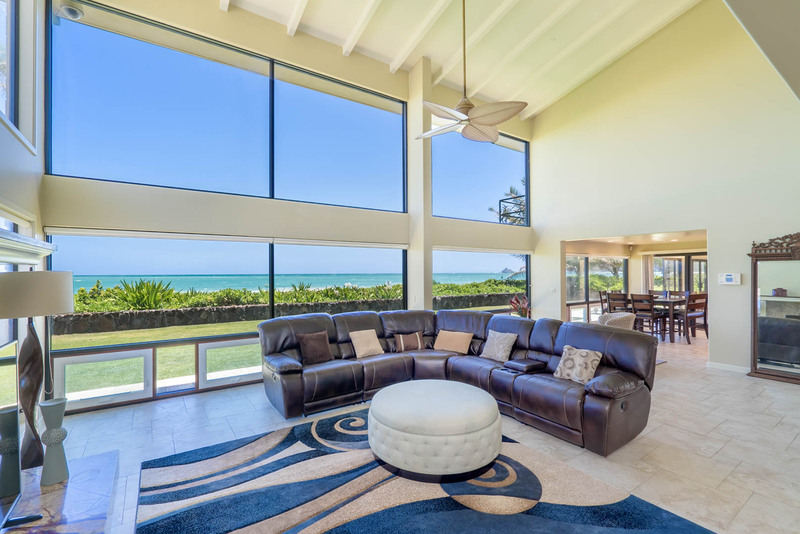 Two stories of panoramic picture windows highlight the gorgeous blue horizon while you relax in the spacious and comfortable living room. 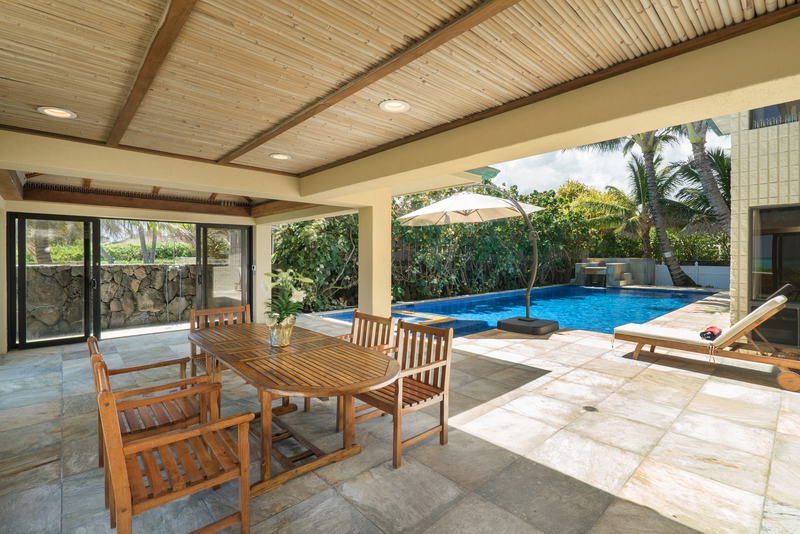 The dining room and generous kitchen connect seamlessly to the pool deck with its own shaded dining area. 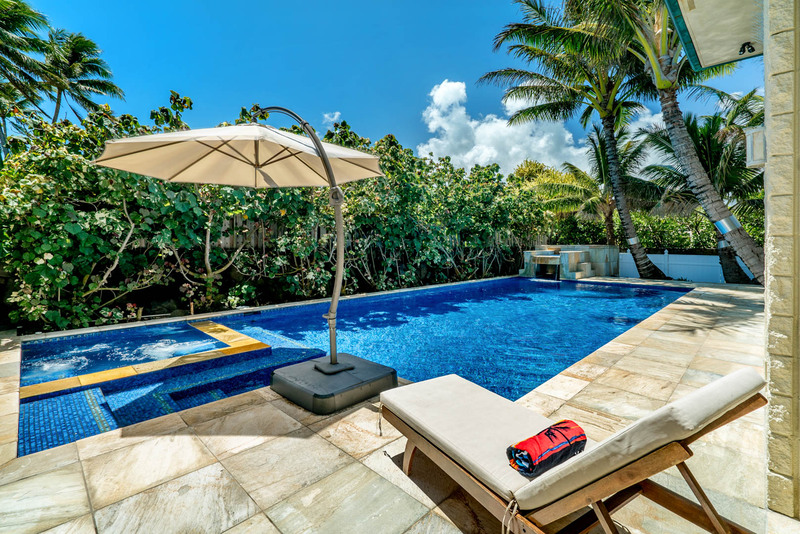 The deck is conveniently protected from on-shore winds, allowing you to enjoy the outdoors and sapphire blue pool and spa in any weather. 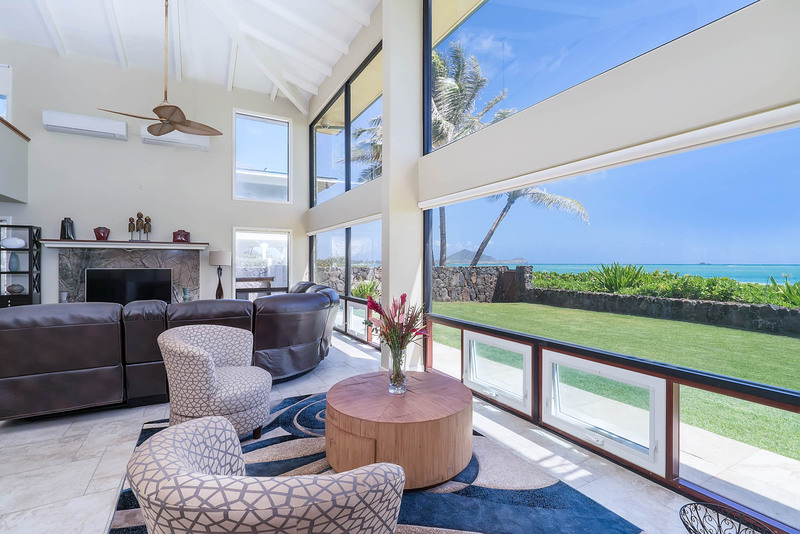 The private lawn leads out to a quieter part of the beach, right in the middle of the spectacular Kailua Bay. 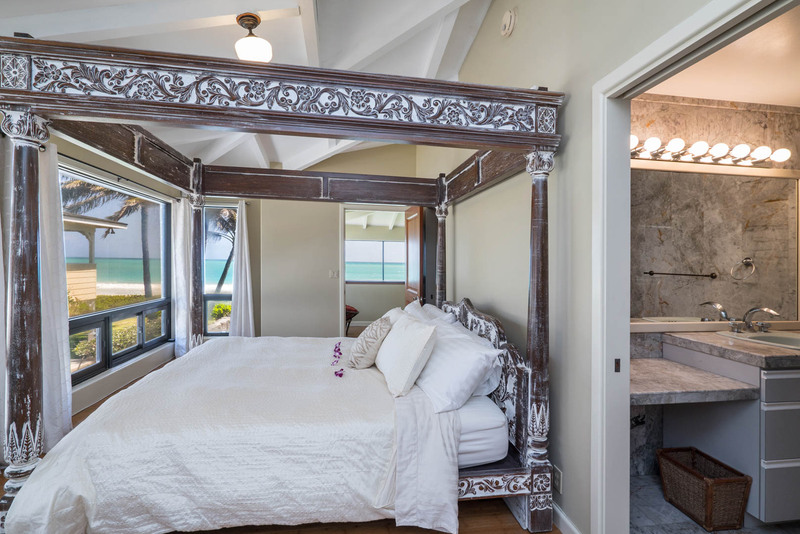 The house includes five bedrooms, highlighting richly carved wood furniture, adding an exotic appeal to the natural outdoor beauty. 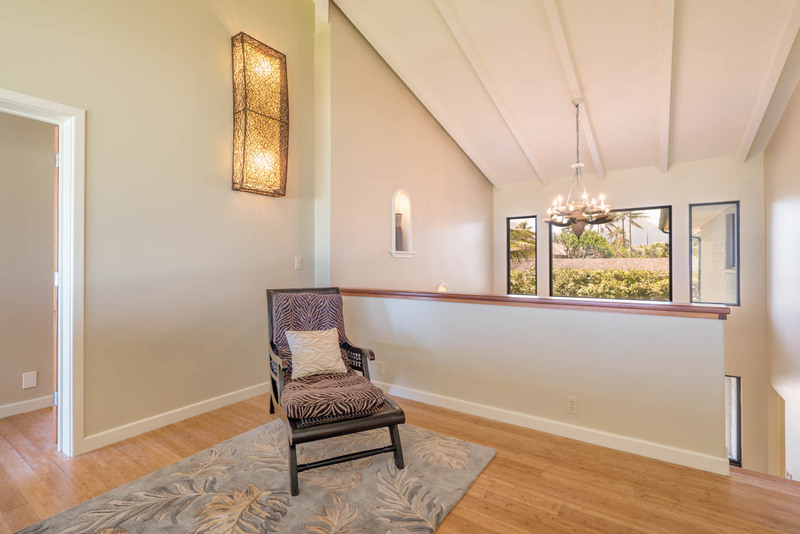 Upstairs master includes a private oceanside lanai, king bed and full bath overlooking the pool. 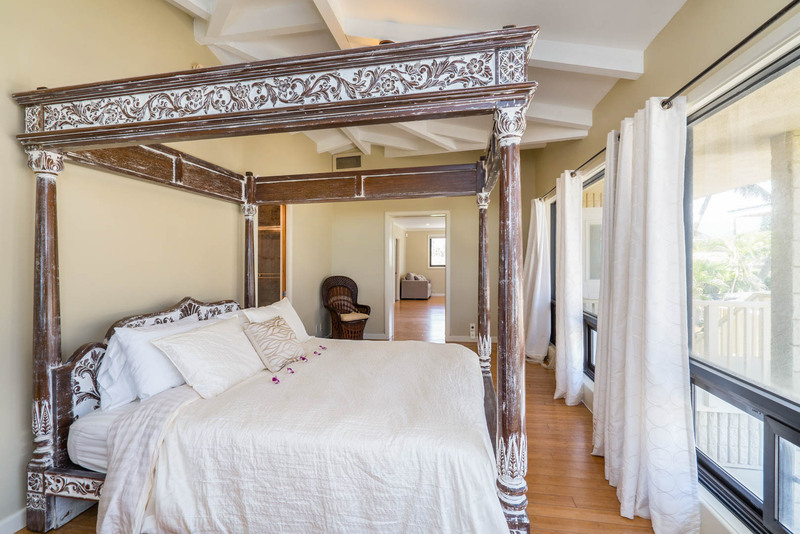 The second upstairs king suite adjoins to a studio unit with two queen beds, kitchenette and separate stairway entrance. 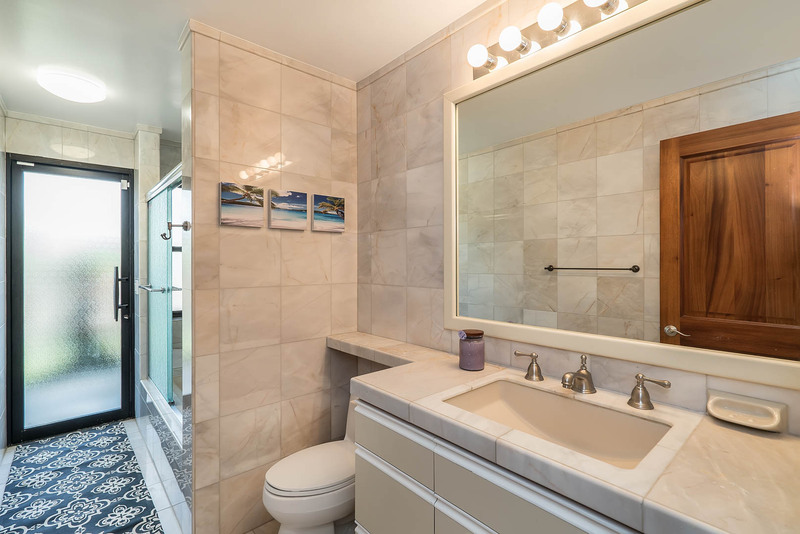 Downstairs, two more king bedrooms - one with ensuite bath - complete a bed configuration to accommodate large parties with plenty of privacy and personal space. 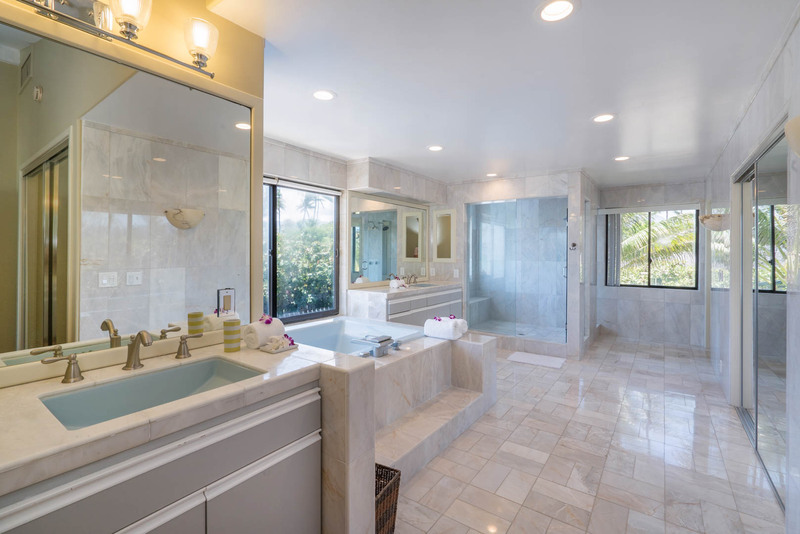 3) Two Queen in a Suite with Kitchenette, Ensuite Bath, A/C and Separate Stairway Entrance. Also communicates with second King Bedroom, A/C. 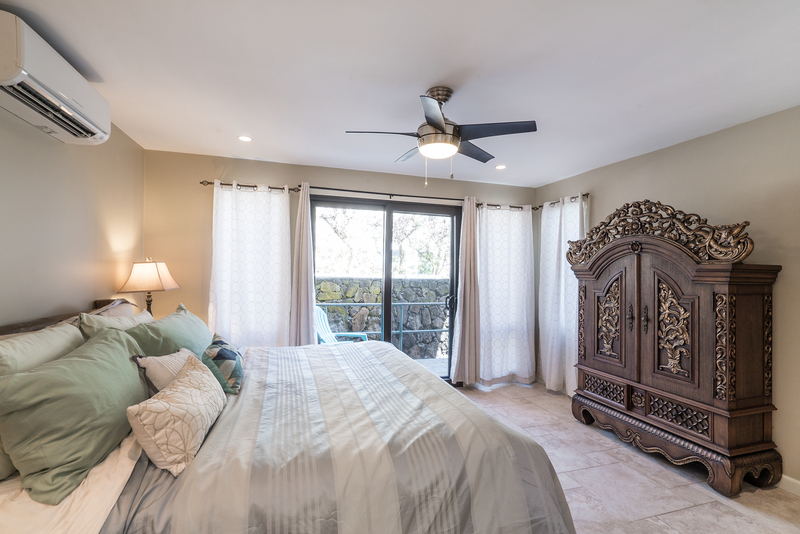 4) King Bedroom A/C with doors to pool area. 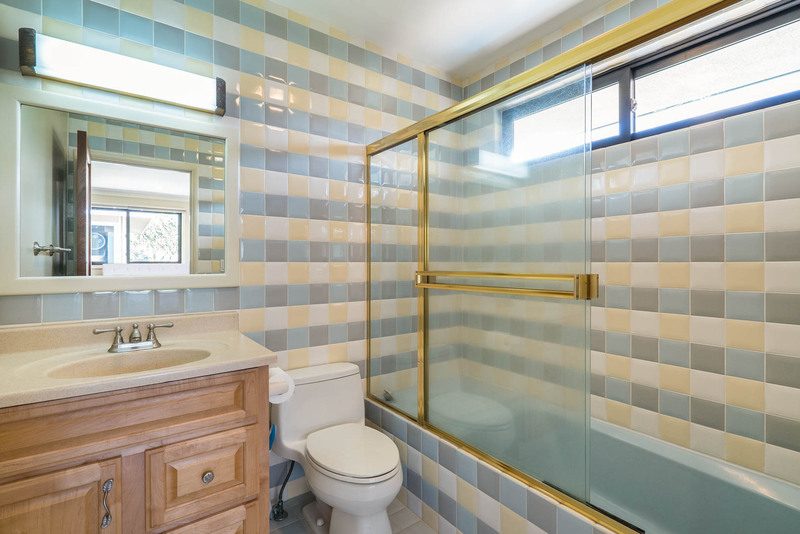 Separate full bath with outdoor entrance. 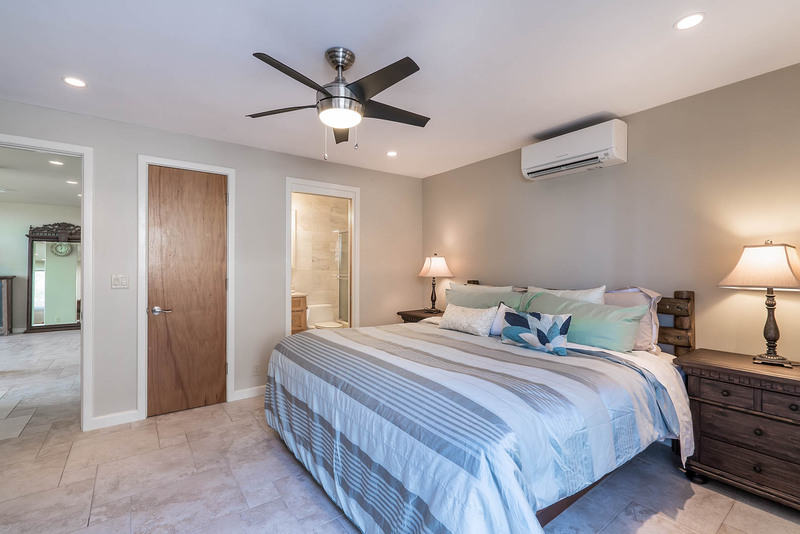 All bedrooms and living room have split A/C units. Optional pool heat at $150/per day if pre-ordered. 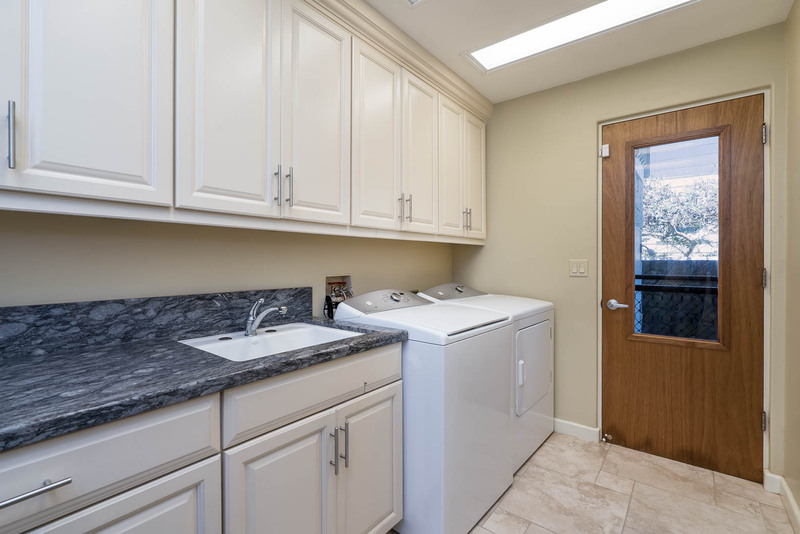 $175/day upon arrival. 6. Please note there is no child safety fence option for around the pool and spa. All children must be supervised by adult. Pool can be cooler in winter months. 7. JUNE 2018 ONGOING CONSTRUCTION NEXT DOOR. This should be mostly completed by June 2019. 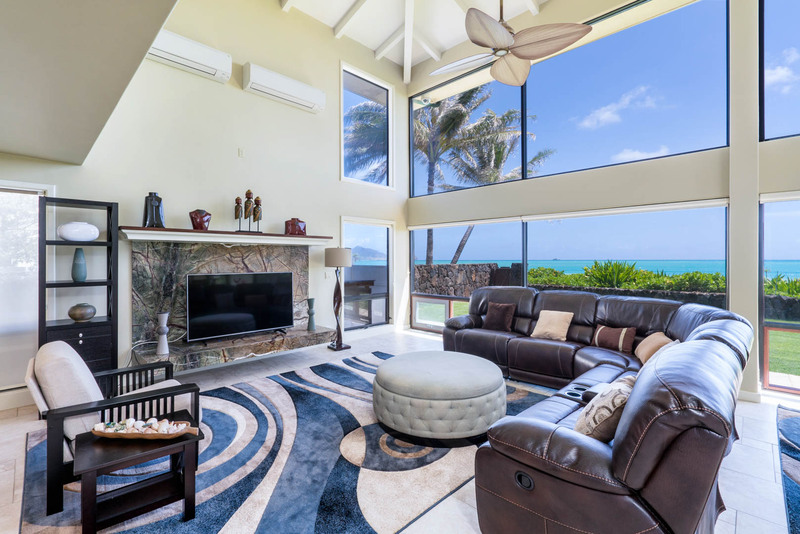 Hawaiian Villa Rentals specializing in Luxury Vacation Rentals on Oahu and Best Beach Locations. 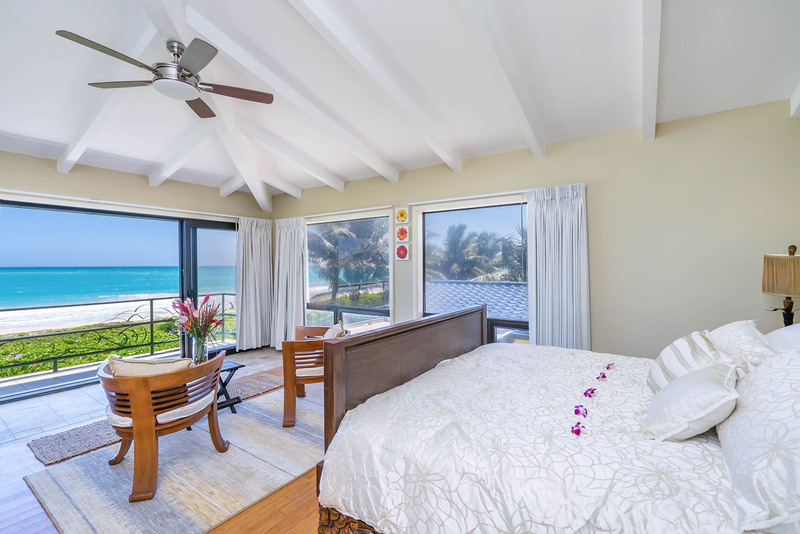 5 out of 5 stars Our 3-gen family of 10 had a great stay at Ocean House at Kailua! 5 out of 5 stars The house was fabulous. Location on the beach is perfect. Gorgeous views. Close to shopping and restaurants. 3 out of 5 stars Myself and 9 other family members rented the home for a week. 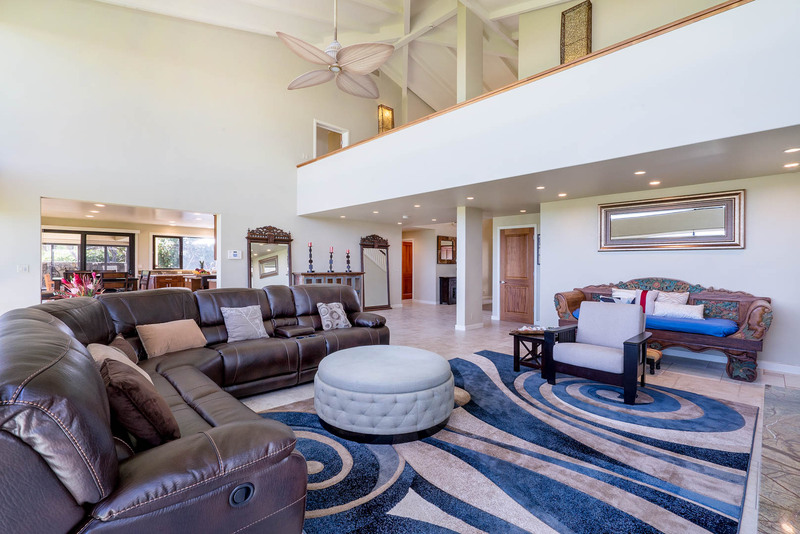 The layout of the home was perfect for 3 couples and 4 teenagers. Having the beach a few short steps away was very nice and the pool was an added bonus as our weather was not perfect. The home definitely needs some updating and care. Beach walks and sun rises! 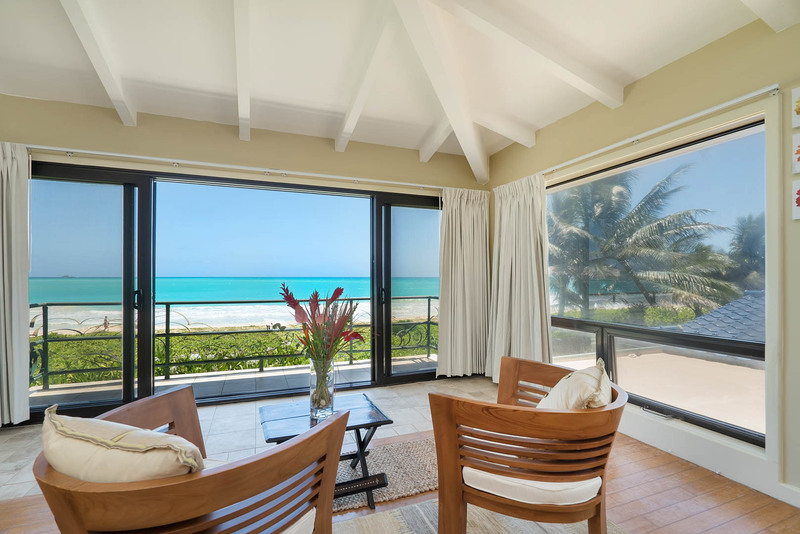 4 out of 5 stars My family of eleven enjoyed our stay at Ocean House. We loved our time on the beach, in the pool, and sharing meals on the patio. There were plenty of beach towels, some beach chairs and umbrellas. The area is quiet and the location of the house is steps from the beach. I walked the beach every morning and watched the sun rise. Lovely! What a refreshing change from the touristy bustle of Honolulu. 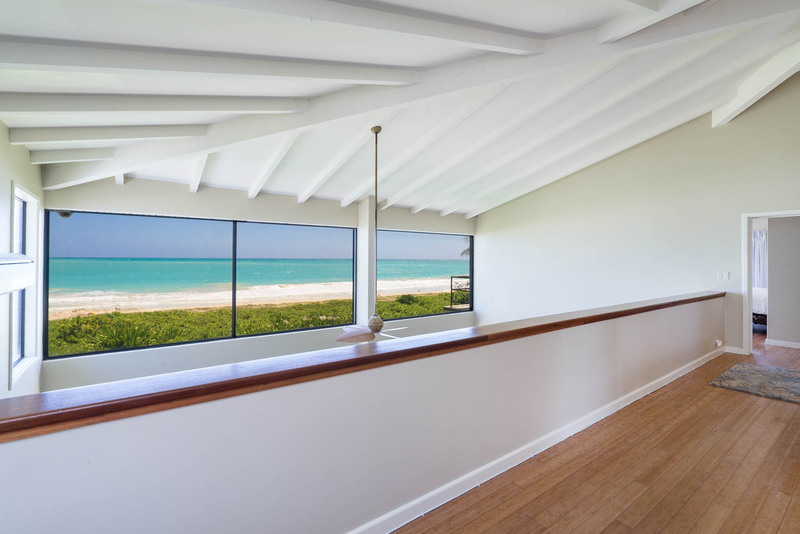 The views from the panoramic windows are spectacular, however some of the windows in the kitchen and master bedroom are damaged by the salt water which might be a common problem on the island. The property management company was awesome. Whenever I had questions or specific issues, their response was timely and satisfactory. 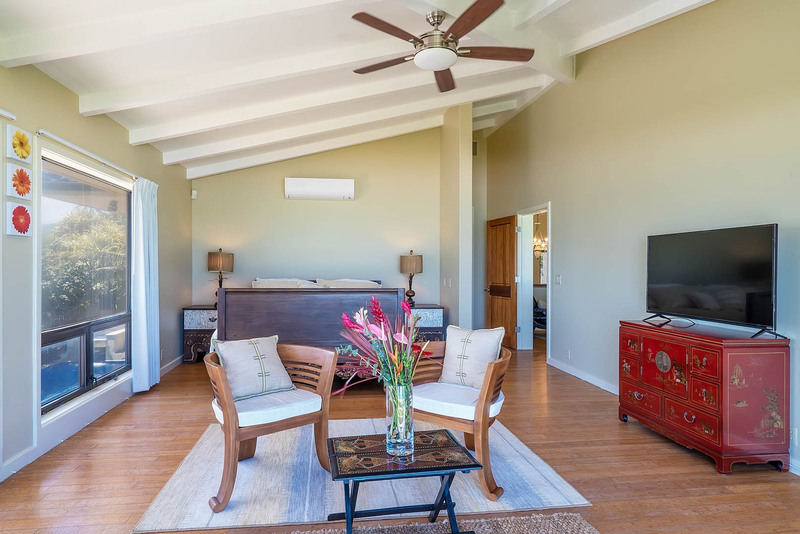 Be aware that there are only two televisions in the house, one in the master bedroom and the other in the living room. Overall, a pleasant week. 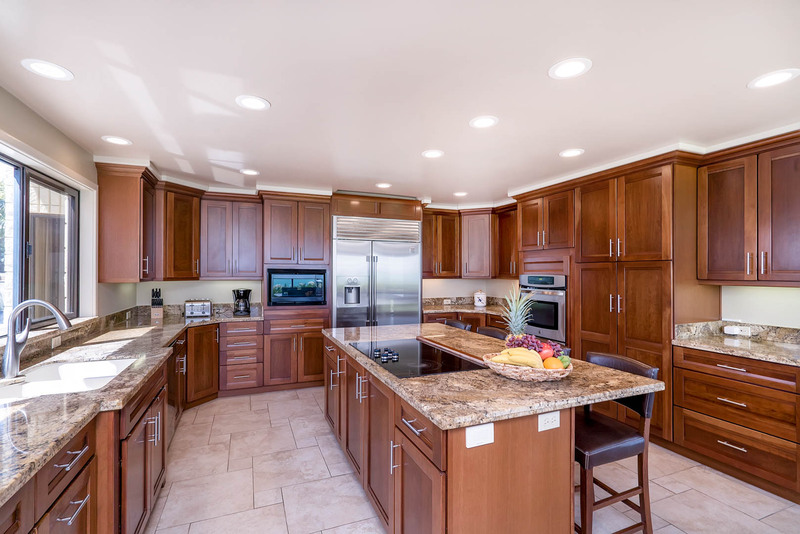 1 out of 5 stars Property not properly maintained. Queen bed slats were missing and mattress sunk thru to floor, windows failing and not clean, hot tub wasn't working properly, pool lights not working, toaster kept popping GFI outlet, handle on slider from bedroom missing next to pool, entry driveway gate broken, gate to pool of hinges. 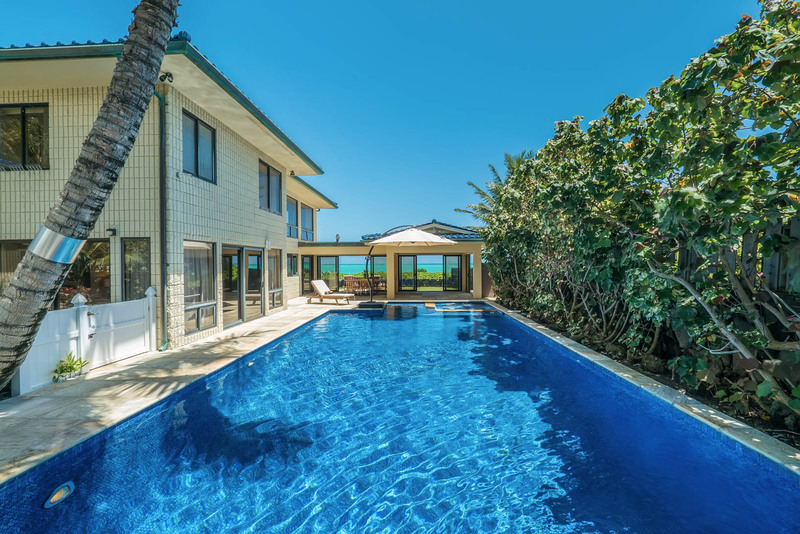 Hawaiian Villa Rentals offered us $100 gift certificate for all the trouble, but the experience left a bad taste. The house has great potential, just needs some attention. Review by Mary Jane B. 5 out of 5 stars A few needs to be updated and have channels available. Property management installed Apple TV but it was difficult to use. Alora from Villa was wonderful! !